After splitting with her boyfriend, Valentine Roncalli leaves her teaching job and goes to work for her Gram at the Angelini Shoe Company, makers of custom made wedding shoes, opened in the 1950′s by her grandfather. 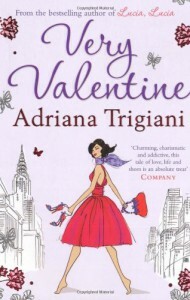 Valentine meets and falls in love with italian chef Roman Falconi but the relationship doesn’t run smoothly. The shoe shop is near financial ruin, which Gram is in denial about but can Valentine save the business or will brother Alfred have his way and sell the place. At eighty years old will Gram ever retire? The plot in this book was very weak, while the art of shoemaking is close to the author’s heart, I don’t think it was enough to make a story from. The characters were bland, Valentine being a typical 30 something looking for love. I didn’t warm to her at all. 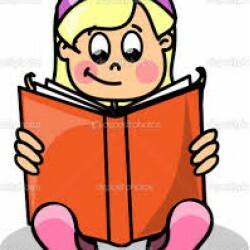 The book is described as hilarious and romantic but it didn’t make me smile although the romance was there. The descriptive passages were far too long, if you took half of them away the book would have been so much better, included in the passages were three quarters of a page devoted to tomatoes growing from seed to fruit, too much describing for me. On the plus side, as the book was italian/american, plenty of italian food was mentioned and the recipes to the food mentioned were included at the back of the book which I thought was a nice touch. There’s a sequel to this book called Encore Valentine, it’s not one I’ll be reading I’m afraid.